The last time I went to Gyeongju was back in 2009 where I had to skip visiting Queen Seondok Tomb as I ran out of time. 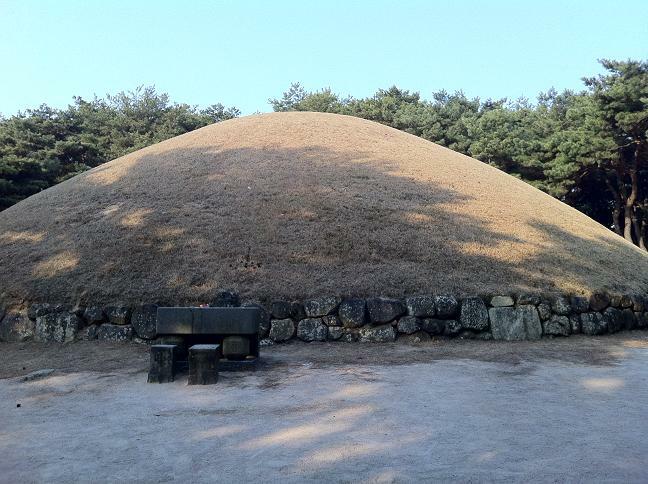 Basically Queen Seondok Tomb is similar to other huge tombs that you could see in the park in Gyeongju but the location is amazing. 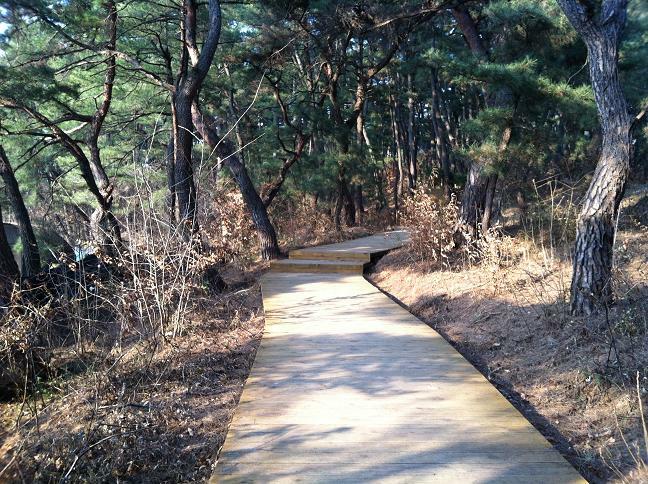 It was situated in a dense forest full of red trunk pine trees. You can use T-Money in Gyeongju and Busan now but only GS25 could recharge T-Money and they were scarce. 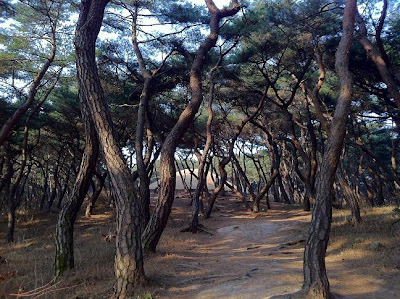 If you tend to visit Gyeongju and Busan remember to recharge your T-Money in Seoul before you go. Public bus per ride is about 1,500 won for adult and you will get 50 won off the fare if you use T-Money. 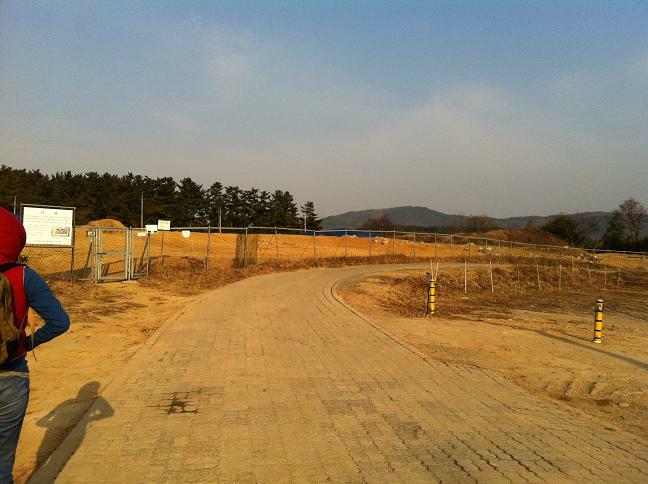 While in Busan the ride by bus or subway is calculated by sector and the fare starts from 1,200 won. 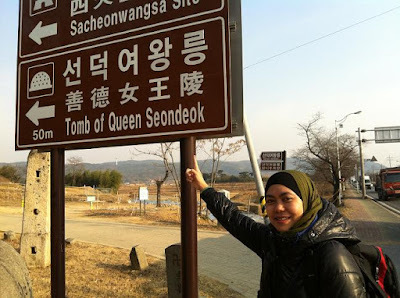 Me and Afri visited Queen Seondok Tomb after visiting Bulguksa and Seokguram Grotto and there is no admission fee for it. However the bus schedule is about 1 hour each so we kinda asked the taxi driver in front of Bulguksa Park and the driver offered 13,000 won per ride and he could drop us right in front of the tomb gate. 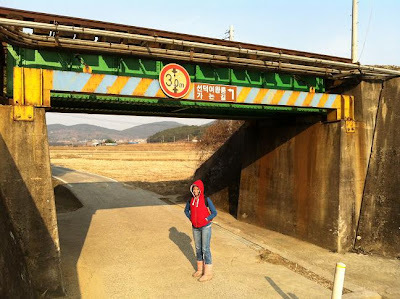 But we declined and waited for bus number 10 which stopped at the nearest bus station to Queen Seondok Tomb. I kinda estimated that we walked about 10 minutes up to the hill but the taxi driver exaggerated the duration up to 20 minutes!! Luckily we didn't pick the ride. Honestly, I have never watched Queen Seondok drama until after this visit. After coming back from Gyeongju I really wonder how the story is and am now watching 13th episode..arghh, a long way to go. Do remind the bus driver or taxi driver your drop off point. 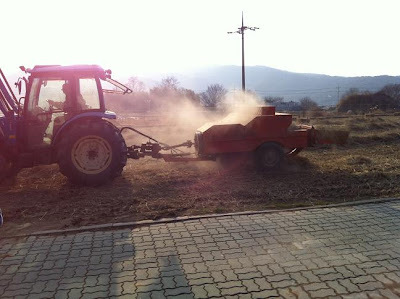 선덕여왕릉 is pronounced "Seondong yeowang neng." from her tomb is magnificent. 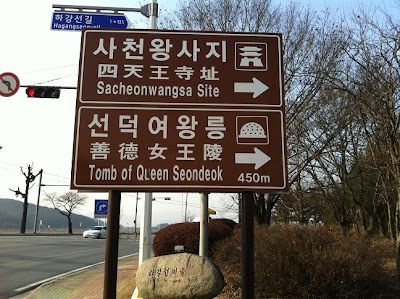 For more information on Queen Seondok, check out Wikipedia.